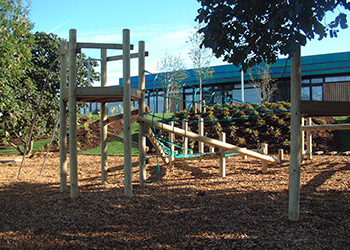 From the designing of your playground equipment to the installation process, Setter Play have you covered! We have a wealth of expertise and understand the importance of canopies and shelters when waiting for your child to finish school, they’re especially helpful if it’s raining too! We have a wide range of canopies available at Setter Play, so whether you need a curved beam, bike shelter or outdoor classroom, we have the skills and knowledge to provide you with a shelter that perfectly meets your needs. Canopies are advantageous for schools and nursery’s, as well as public buildings, this is because they are perfect for draining water and keeping areas (and people) dry. You have the opportunity to customise your canopy, designing it to meet your needs regarding height and colour; however, at Setter Play we provide you with the option to have shutters attached and lighting installed, ultimately promoting your comfort and safety. If you want to draw attention to the entrance of your school, have you considered an entrance canopy? An entrance canopy can not only protect you from harsh weather conditions but it can also incorporate colourful glass that makes your entrance eye-catching. After all, you want your entrance to be noticeable from all angles. What’s more is, when the sun shines on the coloured glass, your entrance will be much more striking! Our outdoor classrooms are ideal for teaching children when the weather is promising, making lessons more fun and memorable! And at Setter Play, we always aim to help children to develop their social skills and the change in environment can be particularly favourable when trying to implement this. For all enquiries, contact us today!